Anna Delvey Wants to Make a Plea DealThe scammer wore her Céline glasses to court. How an Aspiring ‘It’ Girl Tricked New York’s Party People — and Its BanksSomebody had to foot the bill for Anna Delvey’s fabulous new life. The city was full of marks. 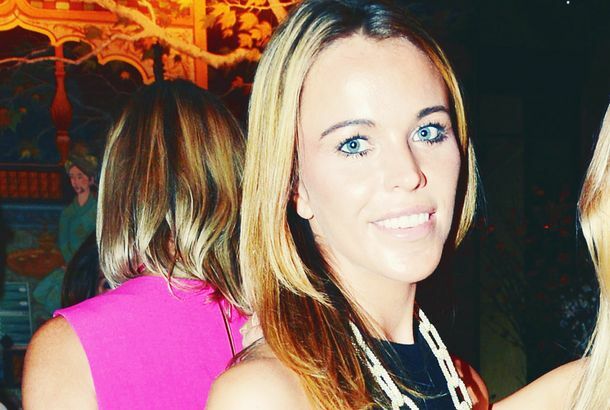 Socialite Arrested for Allegedly Assaulting Man With Glass PurseThis was after she allegedly made anti-Semitic comments to his mother. Zsa Zsa Gabor, an Actress and Socialite Who Reveled in Her Celebrity, Dies at 99Gabor was as well-known for her many high-profile marriages as she was for her movie roles. Zsa Zsa Gabor, Actress and Socialite, Dead at 99Gabor was as well-known for her many high-profile marriages as she was for her movie roles. Sail Into the Weekend With This Kooky Italian Jet-setter’s Dance VideoAn inspiration to us all. Actually, Personal Brands Horrify Tinsley MortimerOpinions cast on the new class of socialites. Will Brooke Astor’s Grandson Crash His Father’s Funeral? Philip Marshall was the first person to accuse his father of looting Astor’s estate. Don’t Bathe in Cash If You Owe TaxesA social media lesson. Artist’s Wife: Yeah, I Slapped My Husband’s Mistress at Bar Pitti. What?Helen Lee Schifter got busted at Bar Pitti. How Do You Solve a Problem Like Devorah?The ‘Times’ sure as heck doesn’t know. Tinsley Mortimer Is on the Market AgainGentlemen, put on your makeup. It’s showtime. Lawsuit Claims Andres Santo Domingo Ran Over Somebody’s FootIt was, apparently, a $100 million foot. Divorce Parties Are the New Wedding PartiesNow THIS is an idea to get behind. Libet Johnson Is Moving Into the Vanderbilt MansionShe reportedly spent at least $48 million on her new home. Hadley Nagel’s Debutante Ballgown Was Strapless and Off-WhiteAs is customary for debutantes, she accessorized with white gloves and a bouquet of roses. Diversity Rules at Annual Debutante BallSome debs were blonde, and some were brunette! That counts, right? Is Hadley Nagel Neither Gwyneth Paltrow Nor James Franco, But Justin Timberlake?A third look at the do-gooder debutante. Is Hadley Nagel the James Franco of Socialites, or the Gwyneth Paltrow?This is a tricky one. Bravo’s Gay Reality Show Still in Planning Phase, Would Feature ‘Less Drama’Than the drama-filled Logo show ‘The A-List,’ that is. Beautiful Lauren Bush to Become Married Lauren LaurenDavid Lauren and Lauren Bush are engaged. Amanda Hearst Has a Fancy New Spanish-Speaking LoverHe’s a count! Vanity Fair Tells Us What We Already Know: Rich People Can Afford to Dress WellOr at least expensively. Spotted: Lisa Falcone, Shoe ShoppingTo be fair, she was in the sale section. Lisa Falcone Will Not Be StoppedThe billionairess pairs crutches with silver lamé pants. Lisa Falcone Is Having a Bar Installed in Her ClosetGod, we love this woman. The Post Has Decided You Should Care About Rose Kennedy SchlossbergCaroline Kennedy’s daughter is going to be somebody. Lisa Maria Falcone Plays Soccer in Lanvin and PearlsDon’t you? Ali Wise Pleads GuiltyWill avoid the bad lighting of jail. At Least Nydia Vegas Reeves Knows How to Make an EntranceA notorious ‘faux’cialite sweeps back into town. Who Is ‘Malik So Chic,’ Co-Star of Tinsley’s Reality Show High Society?We’ve never heard of this particular star of the CW’s new show ‘High Society,’ but now we fear we’re never going to stop hearing about him. Trailers Indicate Tinsley Reality Show May Actually Be EntertainingThey can do ANYTHING with reality television these days. Murder at the Peninsula HotelA mother allegedly distraught over her impending divorce murdered her son. Lizzie Grubman on the Disease of HeiressismCasey Johnson was not just a lone case, explains the publicist. Follow Your Favorite Socialite’s Twitter!Srsly, Lauren Santo Domingo has a lot to say. Stay Tuned for Ali Wise Goes to the Big HouseThe scheming socialite hacks her way onto television. Tinsley: Constantine Maroulis Is a ‘Really Nice Guy’The socialite acts coy about her lip-lock with an American Idol. Tinsley Mortimer Caught on Film Canoodling With Constantine MaroulisOh God. We’re having, like, THOUGHTS about this. Tinsley Mortimer Shows Us How Reality-TV Sausage Is MadeAnd predictably, it isn’t pretty. Bee Shaffer Got a JobShe’s working for CollegeHumor.com’s Ricky Van Veen. Julie Macklowe Is a Poor Little Rich GirlWith an insane closet. Serena Boardman, Broker to the Fallen StarsThe sociable Sotheby’s saleswoman may be the top seller of Ponzified properties.